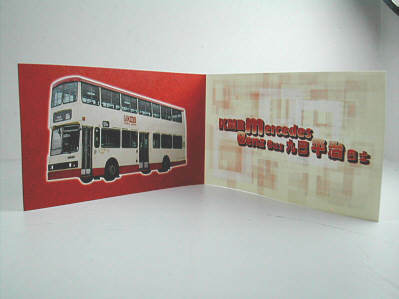 The model - this model was released in Hong Kong on 14th November 2002, having first been announced on this site in May. 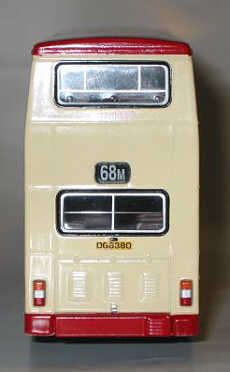 Another superb model from Drumwell which won the this site's award for 'Best New Casting 2002'. 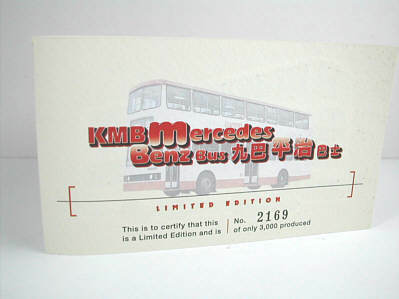 The bus - ME41 (DG8380) was the very last Mercedes Benz O305 double decker to enter passenger service with KMB in 1985. It joined the fleet with another 39 buses (ME2-40) in the same batch after the demonstrator of the ME-class, ME1 (CZ6686), had displayed its high performance on long uphill sections of Hong Kong's roads. They were mainly allocated on routes 68 and 105 when they were new, and a unique livery has been used on all ME-class buses to show their distinctive identity in the fleet. 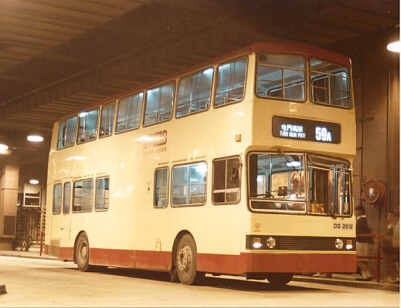 This livery is shown on ME11 in the photograph below. 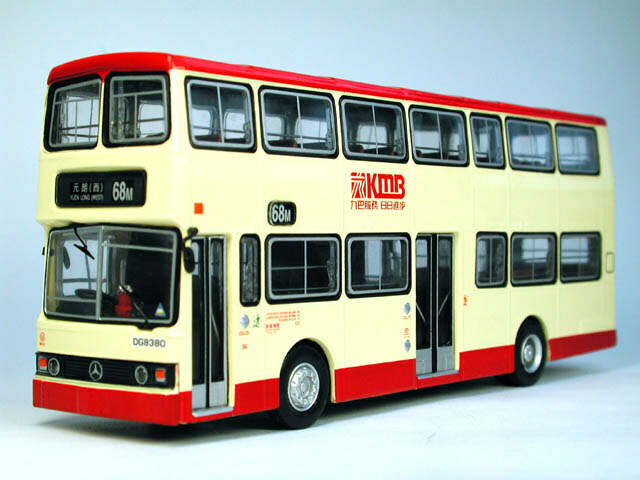 Due to the monocoque chassis design used on the ME-class, these buses may have suffered damage to their chassis by Cross Harbour Tunnel's recovery trucks in the event of a breakdown. 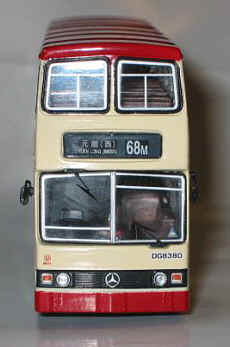 Therefore, the MEs originally allocated to route 105 were later transferred to routes 68M and 68X. Since then, Tuen Mun Highway has become their performance stage, particularly for their high speed and extra hill climbing ability. 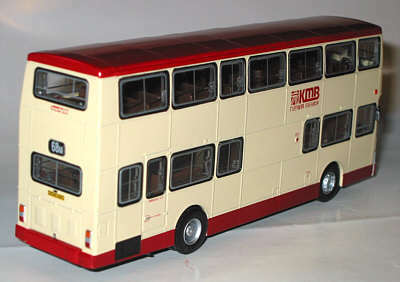 The normal corporate livery was first seen in the ME-class during mid-1993. 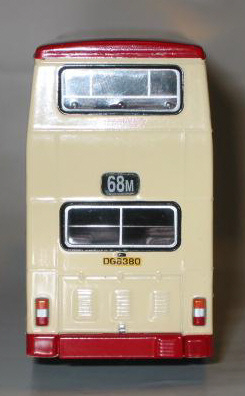 Since then, all 41 vehicles were subsequently repainted. 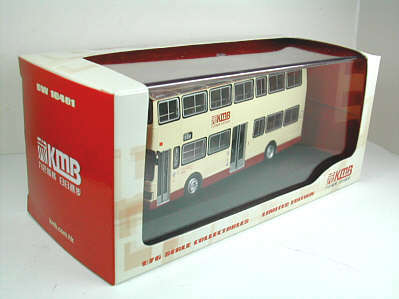 A few years later, most of the ME-class buses were transferred to routes 70, 71A, 71B, 71K, 73, 73A and 76K. Interestingly, these six buses could still be seen regularly on routes 71A and 76K, even after KMB has officially announced that the entire batch of ME-class had been withdrawn from the fleet on 25th October 2002.
and of course for the excellent photographs. and still in service on 31st October! !